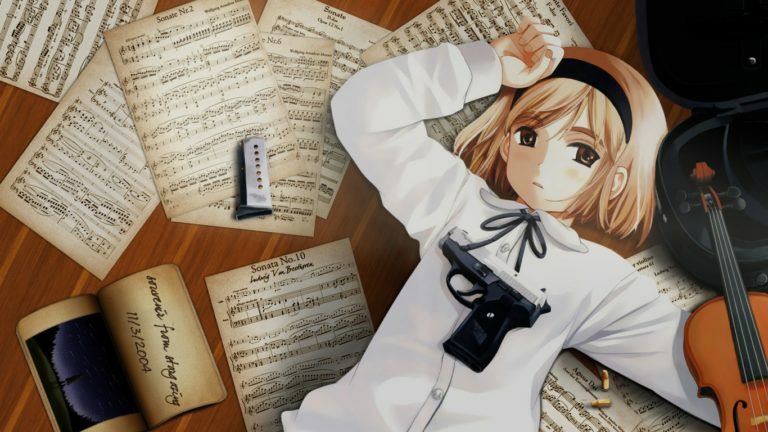 When the Gunslinger Girl anime launched back in 2003, it surprised many with its deep character driven story and occasionally gratifying firefight. A year later Marvelous Entertainment released this game in Japan, which was bundled with the anime (one of the first to do such a thing), that carried on Henrietta’s story whilst introducing new characters to the franchise. Would importing the game be worthy of an incursion, or will you simply be dropping into a killzone? 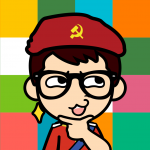 Read on to find out.. The games biggest problem – segregation. 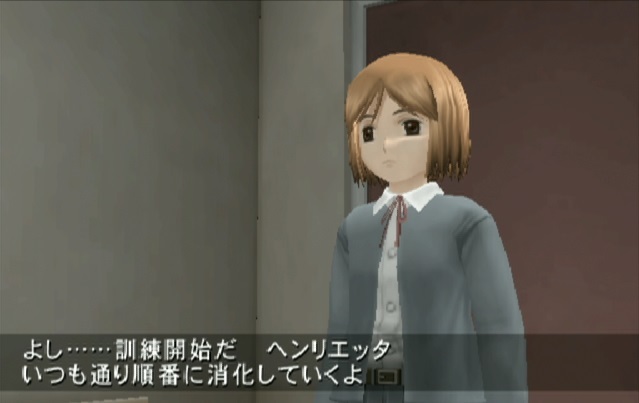 The game is split into 3 volumes and is issued alongside volumes of the original Gunslinger Girl anime. It’s a good idea, but it’s not been executed too well as unlocked content doesn’t carry over to the next volume. Each volume houses a few story based stages and numerous unlocks, but these stay just on that disk. Moving onto the next volume sees all unlocked guns now locked away & all previous stages gone. You’ve got Volume.3 in the Ps2 and you wanna play through stage 2 with an M2K? Tough luck as only the content on the third disk is available to you. Tutorials are also to be completed again upon loading a new volume, with new ones added with each new disk. 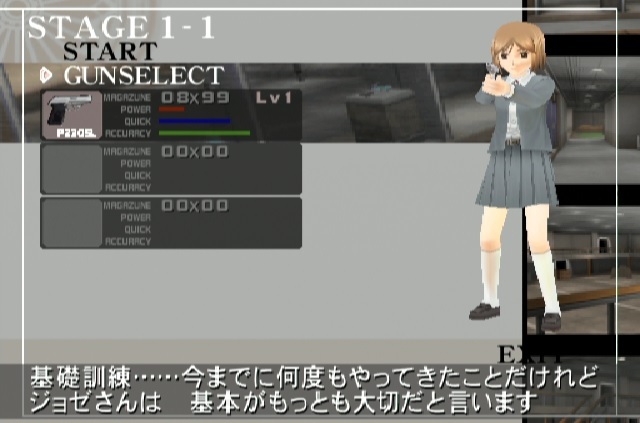 Volume 2 for example adds a tutorial for defeating boss characters, even though you would have completed boss encounters in the 3 stages on volume 1. Whilst the segregation of the game’s content does do some damage, the gameplay makes up for some of it. At its core the game is a simple on-rails shooter, but there are a few added aspects that help give the game a little tactical edge. The cover system is the most useful of these as it allows you to stay in the fight for much longer as you move between spots and tactically pop out from the cover to dispose of foes. You can use this to reach multiple spots within each firefight to get a better bead on foes, but it can leave you exposed if an enemy has a good vantage point on one of the cover zones. Enemies will have ‘caution’ above their heads if there’s the possibility that you may be hit if not behind cover or exposed, and others will have ‘Warning’ and a laser sight that slowly targets you which deals critical damage if your hit. 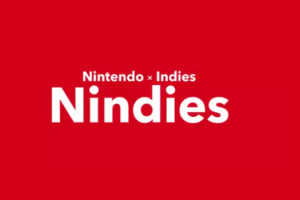 Clever use of cover is imperative, as it will also let you reload freely and switch guns at will, with the boss battles requiring you to be quick on your toes here in particular. The boss battles aren’t too difficult once you’ve figured out attack patters, but there is at least one on each disc that sees the difficulty spike to hair tearing levels of annoyance. Luckily there’s also a concentration mode to help with the tougher sections in each level. Pressing square will see Henrietta lock onto all the targets on-screen and unload an entire clip, killing all. This drains the bar under your health (which turns red after an activated C Mode and you have to wait for it to turn blue again to use). Using triangle instead allows you to auto-lock onto a single foe, which you can chain with other enemies for maximum point boost. This only drains the concentration a little compared to the other special attack. Whilst the gameplay doesn’t differ too much from most on rails shooters, it’s all well-developed and the extra abilities give you more than a single option for each encounter. Fans of the style used in the first series of the anime will find much to like, with the overall presentation fitting in perfectly with the anime. The game stages are as detailed as they are varied. 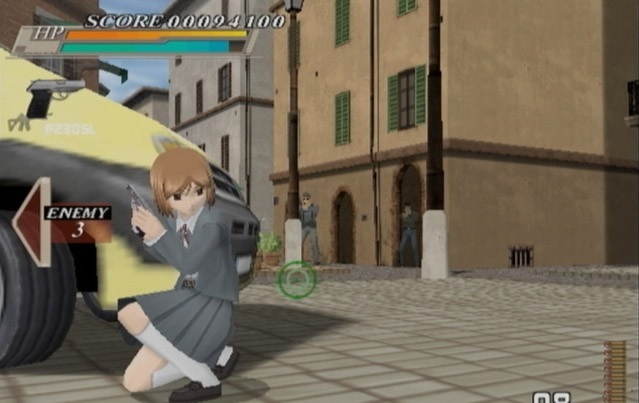 Texture work is nice enough for the Ps2, with the stages many areas packed with all manner of little touches, and the outdoor stages in particular look great within the Italian setting. The characters are also detailed well, with Pia & Earnest fitting the design of the series and not looking out-of-place for new characters. It’s a shame not much variety was put into enemy characters upon reflection, the same faceless mercs stumble into your crosshairs, as it doesn’t take long for the cannon fodder to start looking repetitive. Animation does let things down a little too as it’s a bit wooden for the most part and doesn’t make for engrossing cinematics. When it comes to cinematics, the audio side of things picks up the animations slack. The VA’s for Guise & Henrietta seem to reprise their roles, which will delight fans of the series, and deliver their lines well – with the game’s soundtrack also sounding as though it’s been ripped from the anime series. 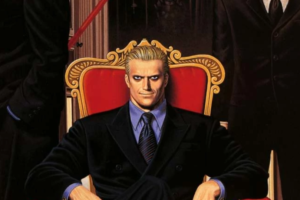 It all comes together to create a presentation squarely aimed at fans of the series and looks great at occasions too, the speedboat chase through Venice a particular highlight – animations and jaggies (it is on Ps2 afterall) aside of course. 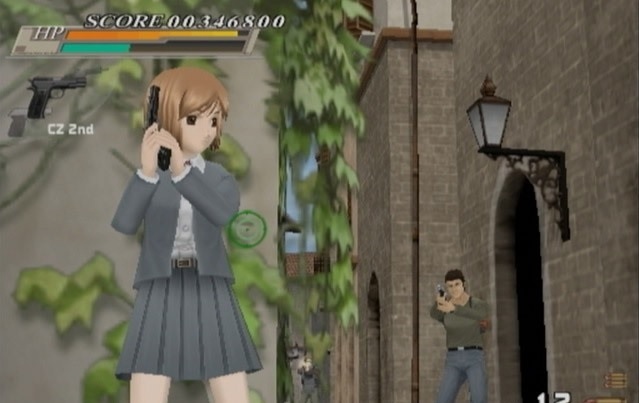 Whilst the games segregated content and overall repetitive nature can be detrimental to the quality of the package, luckily Gunslinger Girl’s numerous positives (decent gunplay, depth, unlockables, multiple routes etc) do much to ease that woe. It may only be a release that appeals to fans & collectors, who I would recommend only purchasing as a full set (with the included anime volumes), anyone else that stumbles upon Gunslinger Girl Vol.1/2/3 may be pleasantly surprised at its robust on-rails gunplay.